We were not ready to leave the area after checking out of the Ohiwa Beach Holiday Park so we decided to stay in the township of Ōpōtiki 16 kms east, for a couple of days, population 9000. I wrote a little about Ōpōtiki in a previous post Labour weekend in the Bay of Plenty and at that time vowed to return again soon. 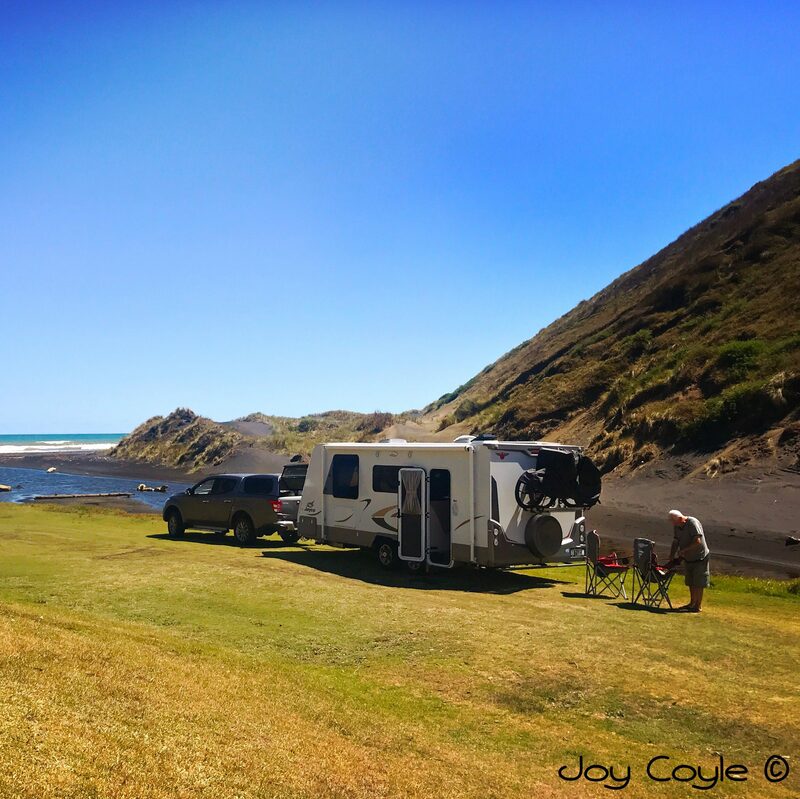 We arrived at the NZMCA (New Zealand Motor Caravan Assn) Park in St John St which is a relatively new park, and very strategically placed for members wanting to travel the East Coast road around the Cape, or through the Waioeka Gorge to Gisborne, and it’s very close to the town centre. It’s also worth staying a few days in Ōpōtiki before going further as it has significant Māori and European history. Roses and other plantings around the park are establishing well and the place is a credit to the volunteers. How lucky we are to have these parks. Last time we were here we tried to find the Hukutaia Domain and failed, because we didn’t go far enough along Woodlands Rd. You need to go right to the end, about 8 kms from town. This time we found it. The 5 hectares of native forest was set aside as a reserve in the early 1900s by the then owner. Later, walking tracks were added, and the Reserve developed. It contains rare and endangered plants collected from all over New Zealand and outlying islands, and this makes it a very special place. I’m keen to see the 2,500 years old Puriri tree, named Taketakerau. It was once highly tāpu (sacred) as being hollow, it was used as a resting place for the distinguished dead of the Upokorehe Iwi (tribe). It’s hard to believe it’s that old. Quite awe-inspiring! The Hukutaia Domain was a highlight for me. I’m a sucker for bush walks and history. Māori habitation in the Õpōtiki area dates back to the 12th century, and got its name from the spring above Waiotahi Beach which was named O-Potiki-mai-Tawhiti. Europeans arrived in the area around 1839-40, at first missionaries, traders and whalers, but it was in the 1860s that Pakeha settlement really established. There were conflicts with Pākeha, the missionary Volkner was killed in 1865 (his church Hione St Stephen still stands in Ōpōtiki’s main street), when local Māori became influenced by the Hauhau political movement. Volkner was regarded as a spy for the Government of the day and unfortunately paid the price. Other major engagements with Pakeha were fought at the entrance to Ōpōtiki Harbour, but the European military presence eventually led to commercial activities and a town was born. Unfortunately, as happened in many places, when hostilities ended, the original inhabitants had their coastal lands confiscated. Today, after many years of negotiations and petitions for compensation of the land confiscation, the Whakatohea Māori Trust Board successfully administers it’s many assets with a new vision and purpose for the area. We will definitely come back. We haven’t visited the museum yet. And I’d love to see all those pohutukawa trees along the coast in full flower. Great memories for us thank you.